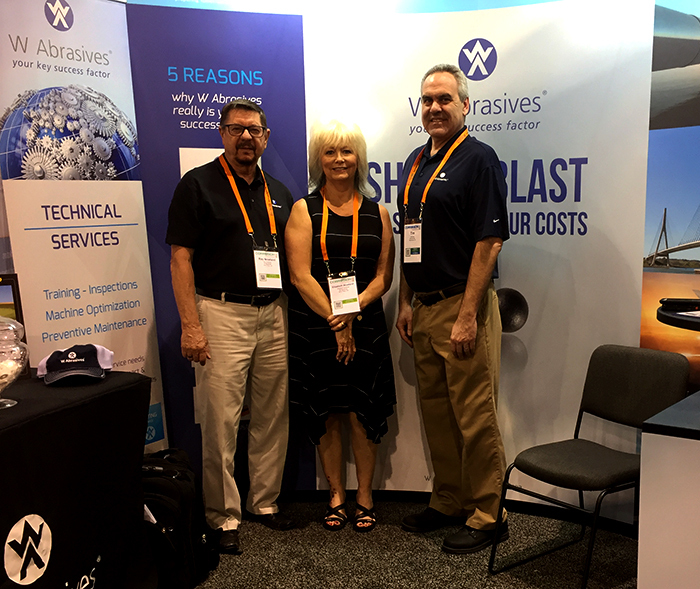 The 2018 Corrosion Trade Show and Conference was held on April 15-19, 2018 at the Phoenix Convention Center in Phoenix AZ. The fair is hosted by NACE, which is a society to protect people, assets and environment from the adverse impact of corrosion. CORROSION welcomes more than 6,000 corrosion engineers, scientists, researchers, technicians, asset owners, inspectors, and other professionals from over 60 countries across the world. This comprehensive conference is packed with technical education and knowledge exchange, along with opportunities to connect with industry experts and peers focused on the prevention and mitigation of corrosion worldwide. Our presence this year was focused on Surface Preparation segment. W Abrasives is providing a complete range of products dedicated to the surface preparation in the steel construction, engineering structures and pipelines markets. W Abrasives is also developing technologies for these segments in order to ensure optimum satisfaction of its customers. Search for your best solution! Find the right solution, is the easy way to find the full W Abrasives offer (products, technologies, services) adapted to your market and your application. Welcome to our next exhibitions, our LinkedIn page and our website!